Although the chapters in Seeing with New Eyes were written as separate articles, the unifying theme of Scripture’s sufficiency for counseling is clear and unmistakable. Whether it was a chapter which unearthed the truths of the Bible by thoughtful exposition and application of particular passages, or a section that included a series of heart-searching, sin-exposing questions, Powlison creatively and persuasively demonstrates how Scripture really is sufficient for counseling others. Powlison’s interaction with psychological, physiological, and biological theories of motivation, behavior and counseling is also helpful and fair. 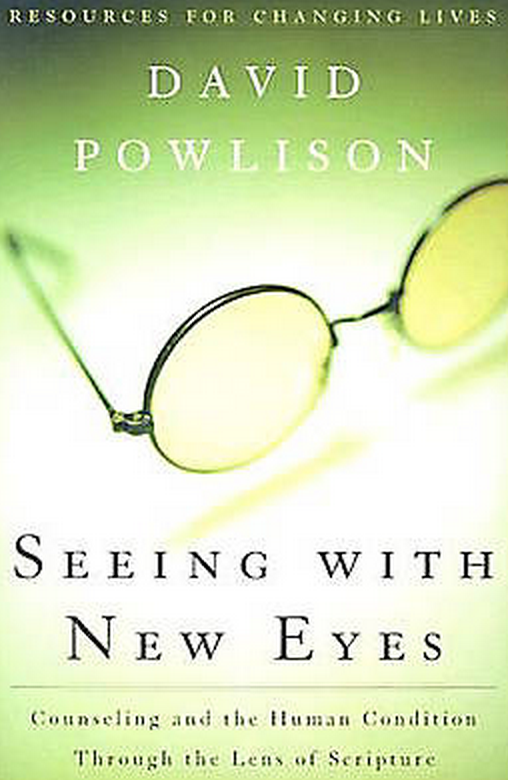 Although the size and scope of this book required Powlison to often generalize and summarize people, theories, and movements, one does not get the impression he is deceitfully stacking the evidence in his favor; rather, in laying biblical truth alongside popular psychological theory, Powlison demonstrates how any human effort to determine the ultimate cause and solution for people’s problems will always, in the final analysis, be insufficient. Finally, in the last chapter, Powlison encourages us toward simplicity. Although people’s problems are often complex, the goal of our counseling (Christlikeness) and our means of counseling (the truth of Scripture) remain simple. As Powlison points out, Jesus spoke “exceedingly simple words” (253). Yet, the simplicity of Scripture or of Christ’s words does imply that we are to use the truth of Scripture simplistically. As Powlison notes, people’s problems are complex—the varieties of problems are as many as there are people in the world, and applying the truth of God’s Word to specific people and situations is hard work. We need to be careful lest we turn “heart-searching and life-altering truth into a cookie cutter, pat answer formula and quick fix” (254). But the clear, simple truth of Scripture gives us words that “call to every person in every time and place,” and a “simplicity [that] understands and redeems real complexities; [and] does not erase them, ignore them, or homogenize them” (254). Powlison skillfully navigates between the rocky shoals of thoughtless, simplistic Bible-thumping and the sands of man-centered psychoanalysis to arrive at a biblical position: A theology of counseling that unflinchingly brings the truth of Christ to bear on issues of sin and suffering with sincere love and discernment. Is Election Conditional or Unconditional?